Authentic. Powerful. Inspirational! These are words used by past attendees of IZL sessions. When it comes to advancing your career or your business, doing a good job and mastering one’s craft are not enough. You need a plan that helps to highlight your value and your contribution. Your personal brand and your executive presence has tremendous impact on how you are perceived by others. In this interactive, half-day workshop we will explore these topics and you will develop your own action plan. Bennie Wiley is Principal of The Wiley Group. For fifteen years, she served as the President and CEO of The Partnership, Inc., where she built an organization that strengthened Boston’s capacity to attract, retain and develop talented professionals of color. 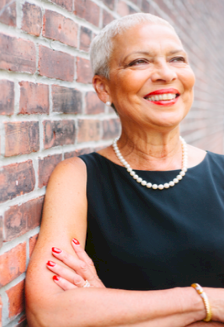 She is a frequent speaker on leadership, diversity and professional development and has been the recipient of numerous awards and honors including being featured on the cover of Boston magazine as one of Boston’s most powerful women, and being the subject of a Harvard Business School case, Bennie Wiley and The Partnership. Bennie is a Director of Dreyfus Mutual Funds, Blue Cross Blue Shield of Massachusetts and CBIZ (NYSE: CBZ). She has served as Chair of PepsiCo’s African American Advisory Board, and formerly served on the board of First Albany Companies (NASDAQ: FACT). Her current civic boards include Dress for Success Boston, Partners Continuing Care, the Black Philanthropy Fund, The Efficacy Institute and Howard University where she serves as Vice Chair.